The Hyundai i30 - 1.6 CRDi and the Lunar Stellar with a laden weight of 1195 kg is a good match. The Hyundai i30 - 1.6 CRDi and the Lunar Stellar of a laden weight of 1195 kg is an excellent combination for all journeys on all kinds of roads. The chance of snaking is relatively small at normal speed, if the caravan is well loaded. The performances of the engine of this outfit are in general more than sufficient. Under favourable conditions on motorways it is possible to drive with 60 mph in the 5th gear, by giving the engine plenty of throttle. In that case the engine runs approximately 2000 rpm. For example, in a headwind or a crossover, downshift to the 4th gear. The engine runs approximately 2400 rpm (witch is maybe more noisily than usually accustomed). On most motorways inclines (1:20) driving is easily possible in the 3th gear with 50 mph and even full throttle with 62 mph. 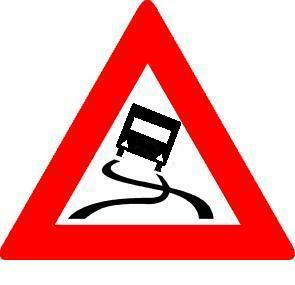 Hill starts are possible even on steep slopes up to 18%, if the front wheels have sufficient traction. While driving the engine has enough power to drive on every normal road.